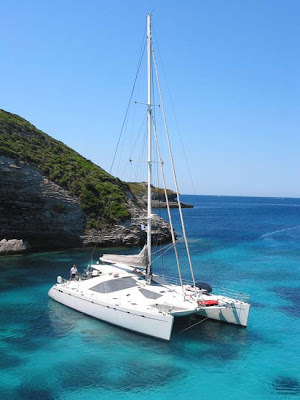 After being refit in 2010 the 65' Luxury Catamaran Felicia is offering 10% off charters booked for this season. 2 guest rate includes center-line King Suite. Standard rates for 3 to 8 guests include equal Queen cabins, double occupancy. To upgrade one of the Queen cabins to the King Suite, add $1,000 to the week's charter rate. 9 and 10 guest rates are for families only. The forward port "bunk bed" cabin, with a separate entrance and its own toilet, shower, is available for mature children.